While dry age related macular degeneration (AMD) is the more common form of AMD, treatment for wet AMD is more prevalent. The same goes for research and clinical trials. However, more studies are becoming available for those with dry AMD. These studies are looking at slowing the progression of this retinal condition, preventing it from advancing to wet AMD and/or trying to improve visual symptoms. 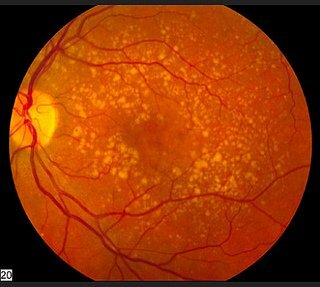 Often dry AMD research is seeking to understand the impact of macular drusen, small yellow deposits, on the progression of dry AMD to wet AMD. One such study sponsored by Stanford University is using a photothermal laser therapy that doesn't damage retinal tissue. Find out who is elibilbe for the study and watch a short video on how this new type of laser therapy can impact AMD treatment.